As a small ebook company competing in a market against 3 giant tech companies (Amazon, Apple, and Google), Kobo has had to be nimble and focus on areas where the big guys aren't investing any time or money. Categories like premium ereader hardware, for example. In an interview with the Telegraph, Kobo president and chief content officer Michael Tamblyn, explained why this small Toronto-based ebook company has released not one but two premium devices, including last year's Aura HD and the Aura H2O which was announced yesterday. "We look at Aura HD as being similar to that music fan who has just bought a £170 set of headphones," he said. "It’s a case of, here is this thing that I love more than anything else, how can I make sure it’s as good as it can possibly be?" The Aura HD, which launched last year, is indeed a premium device. It sports a 6.8" display with a screen resolution which is unmatched among ereaders. When it launched last year, the unexpectedly tapped into a market segment which even Kobo underestimated. While they expected that the Aura HD make up 5% of sales, it soon accounted for 25% of hardware sales. "People who are especially passionate about a particular segment of media are willing to invest in the best possible experience of that media. So someone who is passionate about music will have invested in the best set of headphones they can possibly get," Tamblyn said. In retrospect it makes sense, but given the general decline in ereader sales over the past few years, releasing a premium device was a gamble - one which B&N may have passed on. There were rumors last year that Kobo swooped in and took advantage of Barnes & Noble cancelling a 6.8" Nook. That rumor was never confirmed, but after I held the Aura HD I thought it was true. But clearly Kobo has identified a market segment that wasn't being addressed by their competitor. "Our most valuable customers are people who read on both an e-ink device and on a third party device that they also own. The e-ink device is what they have by the bedside, but they’ll also pull a smartphone out when they’re waiting in a line at the bank, and open up an app that picks up at the same point that they set it down at home." All they have to do now is improve the software on the device (although its been a while since I checked as I had a previous generation Kobo ebook reader for when Borders went bust. I still miss Borders). 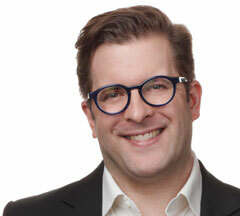 Kobo is far from diversifying itself from Amazon and the likes. 6.8″ screen size is hardly any different from a 6″ Kindle. I looked at Kobo a number of times while I was shopping for an e-reader but I wanted one with at least 8″ screen size and not a single e-reader company has a product out to address that market. But it is a much higher resolution screen, and it’s one that Amazon doesn’t offer. That means Kobo can call it a premium device and charge more. Price was not an issue. Neither Kobo or Kindle were the device I wanted. The way I see it they are very much alike. The resolution of either one is sufficient. Kindle was out instantly due to a closed ecosystem. Kobo had the advantage of having an SD card slot which is a must and a slightly larger screen. But it’s still only 6.8″ and that was not big enough. There are a lot of people out there who are not buying an e-reader because of the tiny 6″ format that all the manufacturers are insisting on making. First 8″ e-reader that makes it to market will be a huge hit, if they don’t screw up the execution in some horrible way. Ah. I misunderstood. I was thinking about the general case, not your specific decisions. Ah, but Kindles have horrible type, and bad navigation, while Kobos are a very elegant and legible reading experience! And if you want a bigger screen, go sit down with your iPad or laptop. For portability, flexibility, and ease on the eyes, nothing beats the dainty Kobo. For travel and bedside, for me, the Kobo is the perfect companion. I wish they would put as much effort into their storefront as they do in their hardware or in appealing to Canada’s Competition Bureau . It looks to be a lovely piece of hardware and I am their target market but I’m not buying. Although I buy a lot of books from Kobo I do not always enjoy their reading app. When your library gets too big, it gets slower. (Although at least it doesn’t crash like it used to.) I tend to download the ebooks to other ePub iPad apps & read them there. I also haven’t bought a Kobo reader yet. I love my Aura HD I bought earlier this year when my Icarus reader died. Ideally I would have liked an 8″ device, but I found the extra 0.8″ plus the higher resolution really did make a big difference. If you use Callibre to strip DRM off Amazon purchases, it also strips the DRM from Kobo purchases the same way. Most of the times you can download their books in two formats: kepubs (their own drm and stuff) and if you go in the page you’ll normally be given the choice of downloading an adobe drm epub (possibly a pdf if the publisher never bothered with a good conversion but that’s not Kobo’s fault). Sometimes they even offer DRM-free books. The Emperor’s Soul novella by Brian Sanderson was a DRM-free epub. As for the stripping… I assume you’re getting help from Alf, who can help you with the Adobe drm (it might even be the one B&N uses), there’s even help for kepubs (though last I checked that was more complex). My point was, that I’ve already figured out how to strip the DRM with two vendors, which is sufficient for most of my needs – needing to spend the time working out how to do this for another vendor is a disincentive. Now if they were to sell me ebooks, instead of leasing them to me, so I didn’t have to jump through all these hoops to be able to use the media the keep telling me I’ve purchased the way I want to and without fear of it disappearing one day if they go out of business, then I would buy them them in a heartbeat. They wouldn’t even have to be the cheapest, just the most convenient. Isn’t stripping DRM illegal? I simply just don’t buy any books that have DRM. There are thousands of DRM free books out there and few great publishers that offer DRM free books that are not tied to any store. Baen is the best if you like SciFy. Smashwords is all DRM free. Book bundles from Humble Bundle and Story Bundle are all DRM free. Buying DRM locked bundles only relays to the publishers that you accept those terms and are willing to lease titles from the. If you want DRM gone, don’t buy anything that has DRM! Especially when there are plenty of great alternatives. It’s not illegal everywhere. But it is illegal in the US. Yes it is a premium device. I am looking forward to buying one. I love Kobo ereader hardware and software. I have 7 in the house already. The Aura HD is my favorite. So I definitely want this new one with Carta and dust proof. When I got my Kobo Aura HD I thought the bigger screen was all there is but I was wrong. It’s charm is in how they used the larger, higher density screen. I can configure my reading to make it easier to read (I have dyslexia) and more pleasant because I can configure the page to match my favorite layouts in paper books. I discovered that 6.8 inches is just enough extra to read manga. I discovered using fonts that I like rather than accepting whatever the hardware (or publisher) provided. The Aura HD easily expands images to full screen; it’s surprising how much clearer images are with just a third more screen. I love my Aura HD. It really is a high end product. It probably was designed for people who love reading.